MARISCA was funded by EEA GRANTS 2009-2014 for the 85% of the total budget and by the Public Investments Programme (PIP) of the Hellenic Republic for the 15% of the total budget, under the theme “Integrated Marine and Inland Water Management” - “Increased knowledge concerning the integrated marine and islands policy or the protection / management of coastal areas”. Total project budget amounts to EUR 390.000. 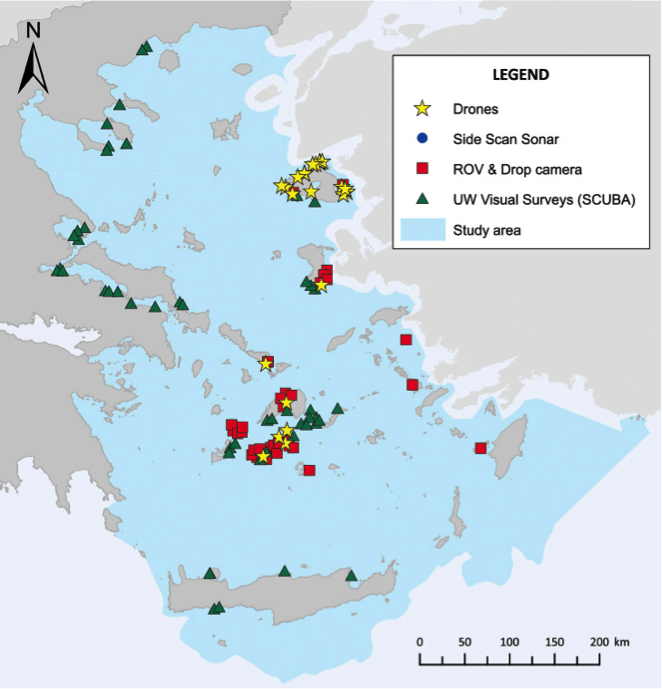 MARISCA aims to contribute towards the protection and conservation of biodiversity in the context of integrated Marine Spatial Planning (MSP) in the Aegean Sea. 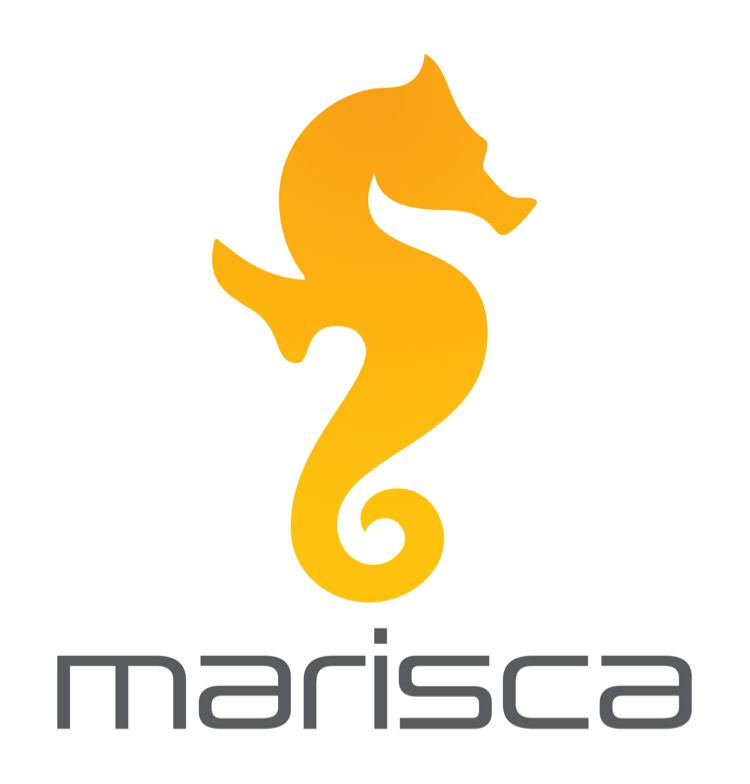 The ultimate goal of MARISCA is to propose a network of Marine Protected Areas (MPAs) and protection zones for the conservation of all important and vulnerable habitats and species, as defined by national and community legislation and international agreements. The project is structured in 8 Work Packages. Besides the analysis of existing information on habitats and species of conservation value, it has also collected many new data in selected sites for the validation of cross-checking of low reliability data, for the verification of results from spatial distribution models and for ground – truthing of remote sense analysis. 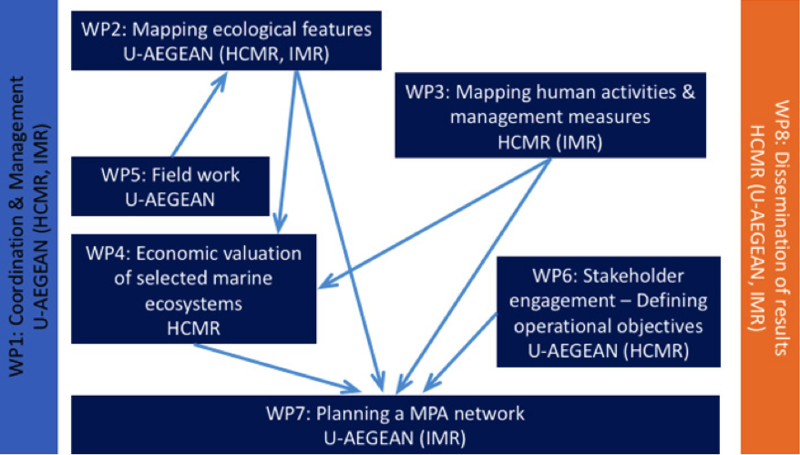 In the context of an overall MSP approach and taking in consideration the distribution of the targeted ecological features, the distribution of human activities and the related cost of management actions, a network of MPA’s has been designed using the “Marxan with zones” software.